Home Tags Articles tagged with "University of Arizona"
Maricopa farming pioneer John Smith and his son Mark are familiar with cultivating growth in their agricultural communities. John farmed cotton and other crops here since the early 1950s, and Mark is president of Smith Farms Company of Yuma Inc. Together, they share more than blood and green thumbs. 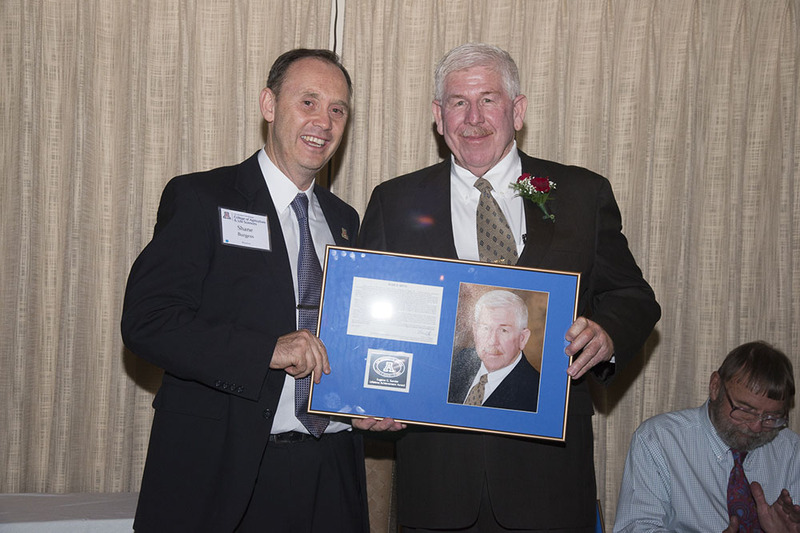 In 1998, John Smith received the Lifetime Achievement Award from the University of Arizona College of Agriculture and Life Sciences. Nineteen years later, Mark Smith received it, too. On May 5, the family traveled to Tucson to honor Mark’s achievement during an awards ceremony held at the college. A representative from the university said John and Mark are the first father and son combination to be awarded the distinction. Unsurprisingly, his son’s accomplishment makes John Smith happy, but he said it also makes him proud of Maricopa High School. According to a biography provided by the U of A, Mark was one of the first graduates of the agricultural business curriculum offered by the College of Agriculture and Life Sciences at U of A. He received a Bachelor of Science from the school in Agronomy and Plant Genetics and Agricultural Business in 1977. But before that, he was a graduate of MHS. “(Back then) there were 16 or 17 cotton gins in the west end of Pinal County, and today there may be one, may be two,” John said. After graduating from U of A with a B.S. 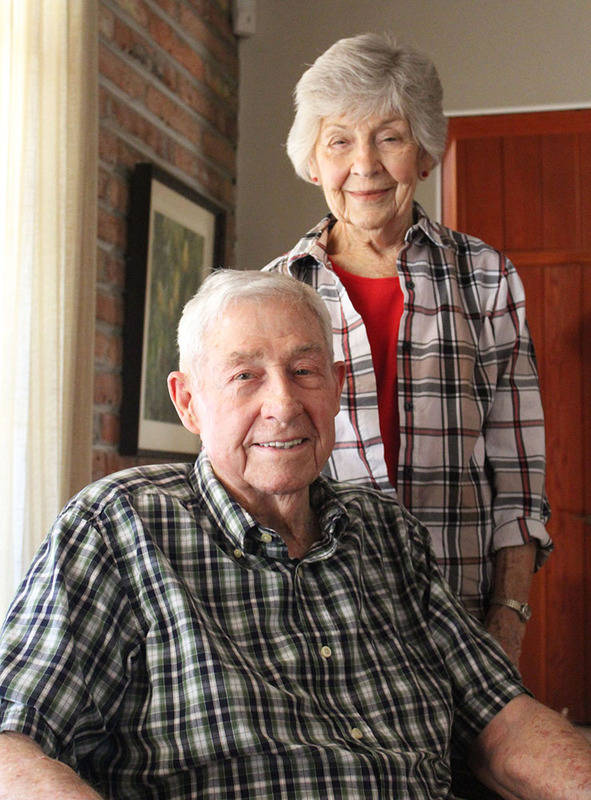 in Business in 1950, he took a job as a foreman on a cotton farm west of Maricopa. Not only was John the boss, but he also did most of the work. “There wasn’t anybody out there then to help,” he said. So he had to do a little extra. 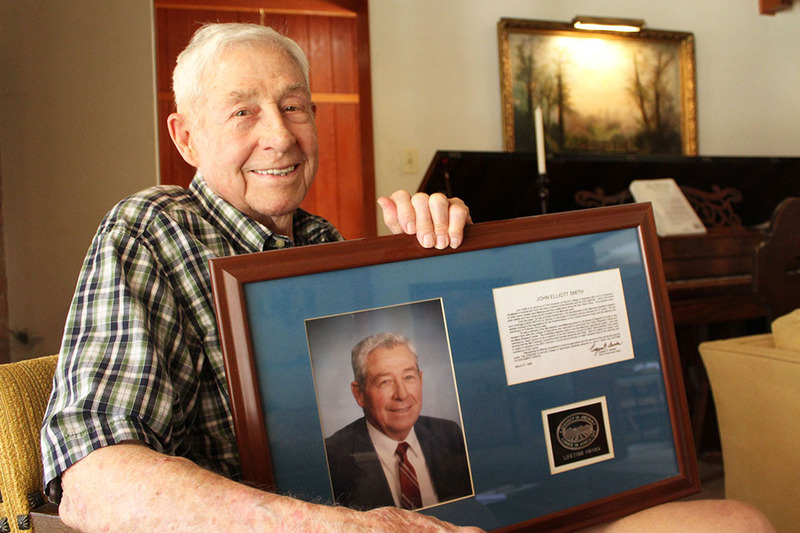 A few years later in 1953, he bought farmland in Maricopa with partner Fred Enke. During their first growing season, Smith said he and Enke labored in the fields themselves, irrigating, weeding and driving tractors. When the work was finished, Enke would return to a different field – the football field. Smith said Enke played for professional football teams in Philadelphia, Baltimore and Detroit. As the farm grew, so did necessity. John and his wife Mary Lou needed a house near the farm. “There were no places to live in Maricopa,” John said. So, in the mid-1950s, the couple built a house in the middle of farmland in what is now The Villages subdivision. Today the sprawling ranch-style home, with its tall, mature trees is an icon of heritage, as well as a portrait of defiance inside the neighborhood of much newer homes. When developers began eyeing Maricopa for housing growth in the early 2000s, the Smiths fought to keep their property. Eventually, John sold most of his farmland in the newly incorporated city, but he and Mary Lou held onto the homestead. “I just told them ‘We’re not going to move. If you want to buy the land, well the house is going to stay and we’re going to stay in it,’” Smith recalled telling developers. His loyalty to the land might have something to do with the years he worked to develop it through various boards. The location of the new research farm Smith helped to select? The Maricopa Agricultural Center. His work didn’t stop there. Smith also served 27 years as president on the board of directors of the Maricopa-Stanfield Irrigation and Drainage District. The lineage of agriculturalists does not stop with Mark. His brothers Jim and Matt own a turf farm in Maricopa named Southwest Sod. “I think it’s wonderful. I’m very proud of all of them,” Mary Lou Smith said of her husband and children. Eventually, the Smith-Enke farming empire expanded so much the partners split. Smith Farms grew to include not only cotton, but a vast pecan orchard, as well as grain and alfalfa crops. Smith still owns and leases farmland in California, but he said his responsibilities nowadays are mostly to himself. 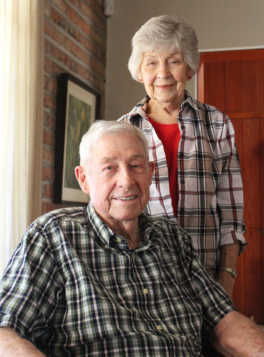 Sitting inside their home that once stood surrounded by cotton, John and Mary Lou Smith discussed the change in life they’ve experienced throughout Maricopa’s growing pains. “Everything always looks better looking back,” John Smith said. And even now, surrounded by houses instead of crops, one thing is for certain: The Smiths are here to stay.